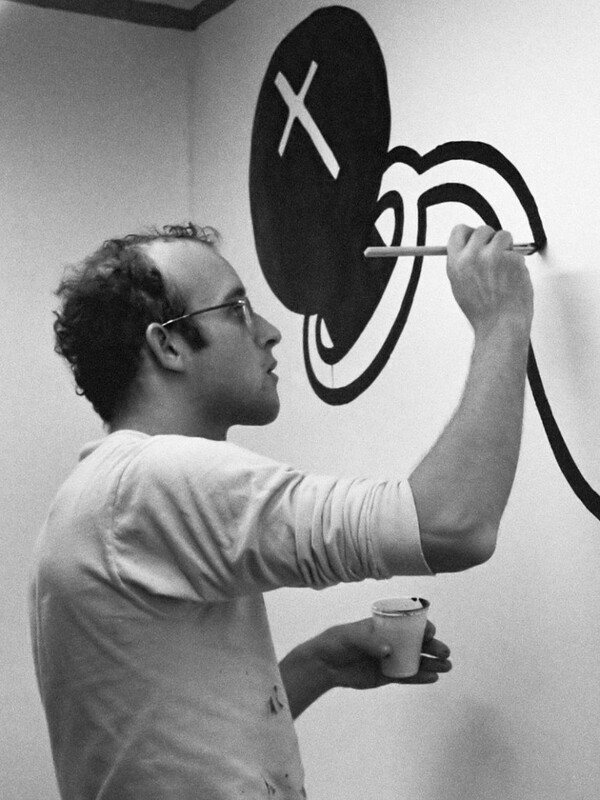 Keith Haring’s work is identifiable due to its graffiti and cartoon-like character. He started his work in the arts by doing graffiti in subways and then eventually moved on to exhibiting art in museums. He is one artist that was able to link the street and the world of art. His distinction began in the 1980s when he painted the subways and sidewalks of New York City. His style of pop graffiti is characterized as making use of both fluid and bold outlines laid on dense, rhythmic overspread of imagery picturing images of babies, barking dogs, flying saucers, hearts, and Mickey Mouse. Haring’s work is termed as apocalyptic especially when he took on themes such as exploitation, subjugation, drug abuse, the fear of an impending nuclear meltdown which will cause immense deaths. Haring was born on May 4, 1958 to Allen and Joan Haring in Reading, Pennsylvania. As a child, he was raised in the town of Kutztown, Pennsylvania along with his three sisters. He was fond of cartoon art especially those of Walt Disney, Charles Schultz and Dr. Seuss. He spent an immense time in his childhood making drawings with his father who worked as an engineer and made cartooning as his hobby. Upon finishing high school, Haring went to Ivy School of Professional Art in Pittsburgh but unfortunately dropped out after a spending a year. He returned to school after two years when he moved New York City to attend the School of Visual Arts. In his stay in New York, he witness the prominence of an underground art scene where Haring came to know other emerging artists like Jean-Michel Basquiat and Kenny Scharf. The three artists had the same interest in the colorful and rebellious graffiti art that adorned the streets of the city. Haring was inspired to use the city as his medium when he noticed blank advertising panels made out of black paper in the subway. With this, he made use of chalk to fill in these panels with drawings. These drawing drew so much attention from commuters and even the authorities. Haring is known to have been arrested on several occasions on the counts of vandalism. Haring’s signature drawings include figures that are seemingly dancing, a baby radiating rays of light, a dog in a barking stance, flying saucer, big hearts and figures with television sets for heads. He gained a wider notoriety due to his appealing art that showed great energy and cheerfulness with the use of bold lines and bright colors. In 1981, Haring held his first solo exhibit at the Westbeth Painters Space located in Manhattan. Then in 1982, Haring showed his art at the Tony Shafrazi Gallery, the gallery that would embody his art for the whole of his career. His work was exhibited all over the United States and abroad. He was also known to have collaborated with other esteemed artists of their time such as Andy Warhol, Grace Jones and William S. Burroughs. 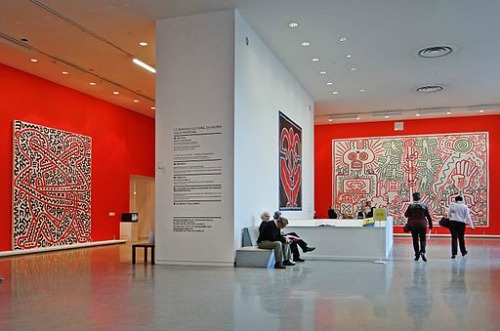 At the height of his career, Haring never let go of his ideal that his art is free for all. He made his art more accessible by opening retail store called Pop Shop that sold posters, shirts and other items that bore his signature designs.